• Interview with BBC Radio journalist on Chinese American/Chinese reaction to hip hop artist YG’s lyrics in “Meet the Flockers,” September 28, 2016. • Interview with Pacific Radio 90.7 KPFK for “Beautiful Struggle” program about gender, race and American “greatness,” November 29, 2016. 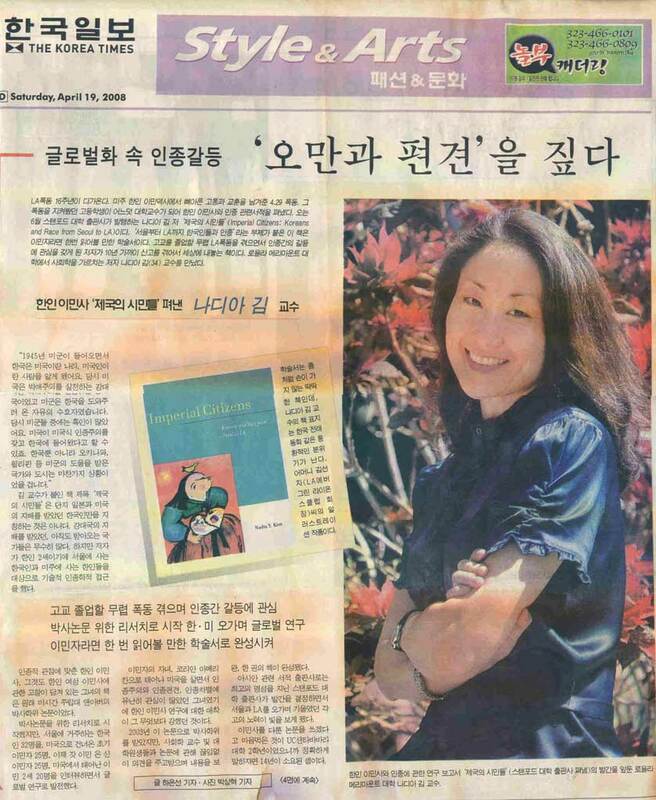 • Interview guest on Radio Korea (Atlanta), largest Korean American radio station in United States, August 13, 2008.